The day started bright and early.. okay maybe not bright, but it was early. While we were heading out to the dock in San Pedro to board the Bottom Scratcher (the boat comes with a story. Just ask Gabe ???? ), we encountered periodic showers, which then became a consistent downpour throughout the boat briefing and the departure. Despite the downpour, we were expecting a nice calm day at sea with ideal diving conditions, and while the rain may deter some, our group of excited divers were ready to take on the day of diving. In fact, the rain would be a special bonus during the trip. As we approached the dive site however, the rain subsided and the clouds parted into a beautiful calm day, but had the rain continued, the boat was fully equipped to keep our divers warm, dry, and comfortable in the large galley. Our first location was a little north of Doctors Cove by table rock. There was so much to see and different options fit to accommodate all divers. The boat anchored over the sandy bottom and just a few yards away was a sailboat wreck ready to be explored. For the strong swimmers on board looking for a challenge, table rock was just a few hundred yards away, surrounded by kelp and teaming with life. 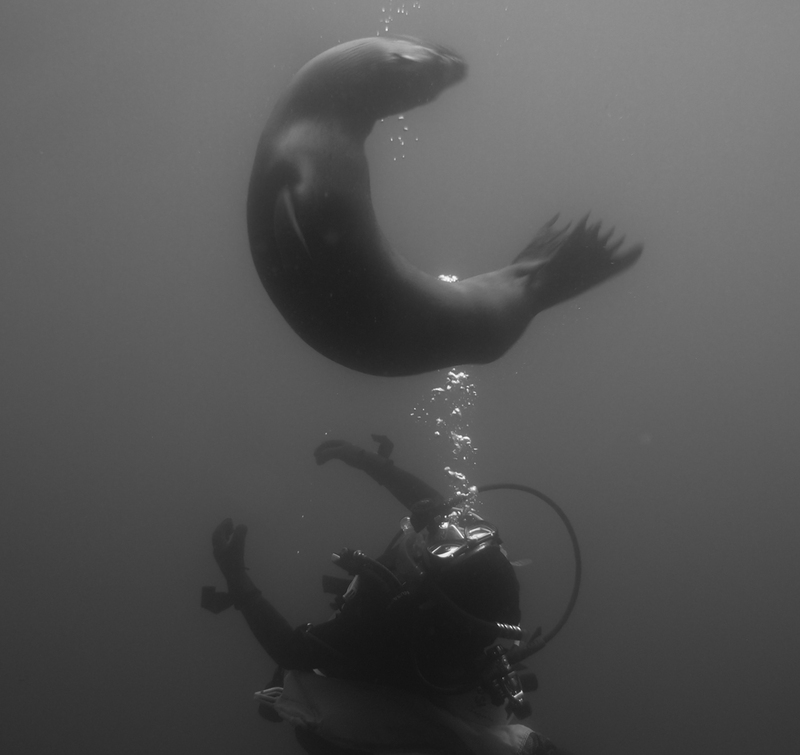 The second dive was at Eagle’s Nest, where a beautiful kelp forest awaits. 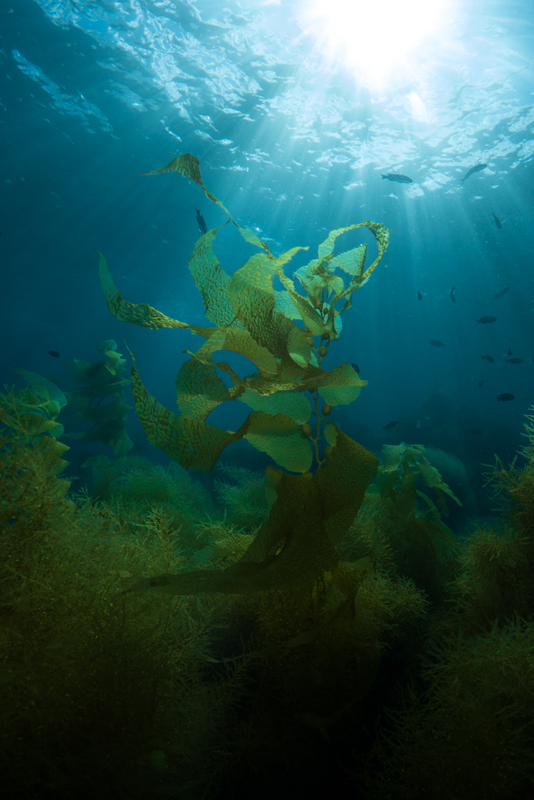 You can weave in and out of the kelp at the edge of the reef, or drift into the kelp forest for a beautiful scenic dive. I crawled through the patches of algae (kelp) and in between rocks to find myself deep in the heart of this beautiful underwater ecosystem. I even got a welcomed visit from the local harbor seal! Coming out of the second, the talented cook, Lauren, arranged a delicious lunch in the galley, ready for our hungry divers. The piping hot oven roasted beef brisket sat on the table next to some mashed potato and gravy, salad, and dinner rolls. Nothing but the best to rejuvenate divers before the final dive of the day. With bellies full and the tanks filled and ready to go, we suited up and jumped in at the last site for the day; Indian Rock. As we approached the rock from underwater, we came upon the edge of the kelp forest where lots of fish were hanging around. The water was still and calm as we swam around checking all the nooks and crannies to see what wonderful creatures might be hiding. Although we had finished our last dive, the day was not yet over. After roll call to make sure all our divers were onboard, Lauren brought out some fresh baked brownies to enjoy as we headed back to the dock. The crossings always holds opportunity for an encounter with dolphins and whales. Sure enough, as we were heading back, a school of dolphins accompanied us, playing in the boat’s wake. By this time, the sun was also setting, leaving beautiful colors dancing in the ripples behind us. Please Note: This is a printout of the Ocean Safari Scuba | Community | Jackie Quach page from 04/19/2019. Some information may have been updated in the mean time. Please visit PAGE URL to view the latest up-to-date information or call us at 626-287-6283 if you have any questions.